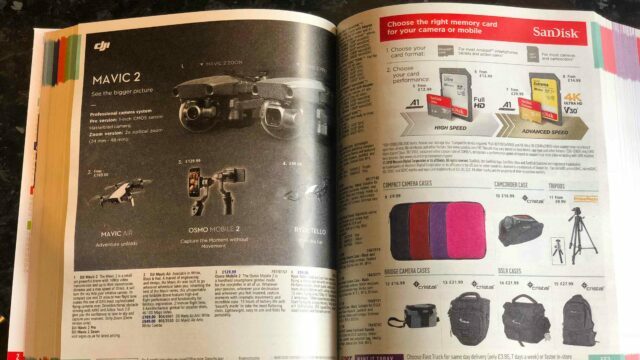 In the brief article description on the right hand side page are some more detailed information. 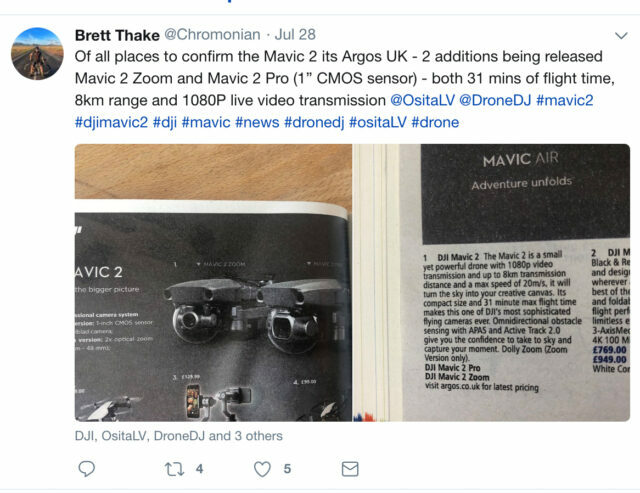 We learn that the Mavic 2 transmits 1080p video up to 8 km (almost 5 miles) to the pilot. 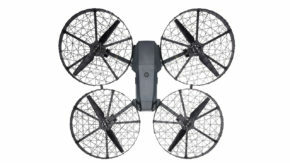 Furthermore, the drone itself can achieve speeds up to 72Km/h (almost 45 mph). A whooping 31 minutes worth of airtime will be part of the package and because all these figures invite the pilot to fly far and fast, the Mavic 2 drones sport the rumored omnidirectional obstacle sensing. If your weapon of choice is the zoom version, a so-called dolly-zoom can be pulled off with ease. A dolly-zoom is a camera movement in which you zoom while pushing the dolly in the other direction. Push-in while zooming out or vice verca. This effect is pretty complicated to nail when pulling it off by hand but with the Mavic 2 Zoom it shouldn’t be a problem anymore (within its limited zoom range and picture quality, of course). Pricing? No idea. The price remains nebulous, unfortunately. 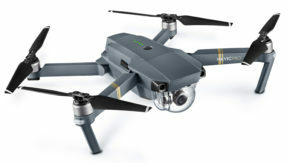 The predecessor to these new drones, the Mavic Pro Platinum sells for $1,099. 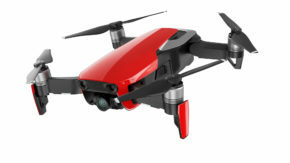 So far DJI has managed to aggressively price their lineup of drones, gimbals and accessories so that they may keep the new Mavic 2 drones within this price range. That’s it for now, keep your eyes peeled. Hopefully these new Mavic models are just ’round the corner. Credit featured image: Brett Thake (Thank you for being responsive an cooperative)! What do you expect from an updated Mavic drone? Let us know in the comments below!